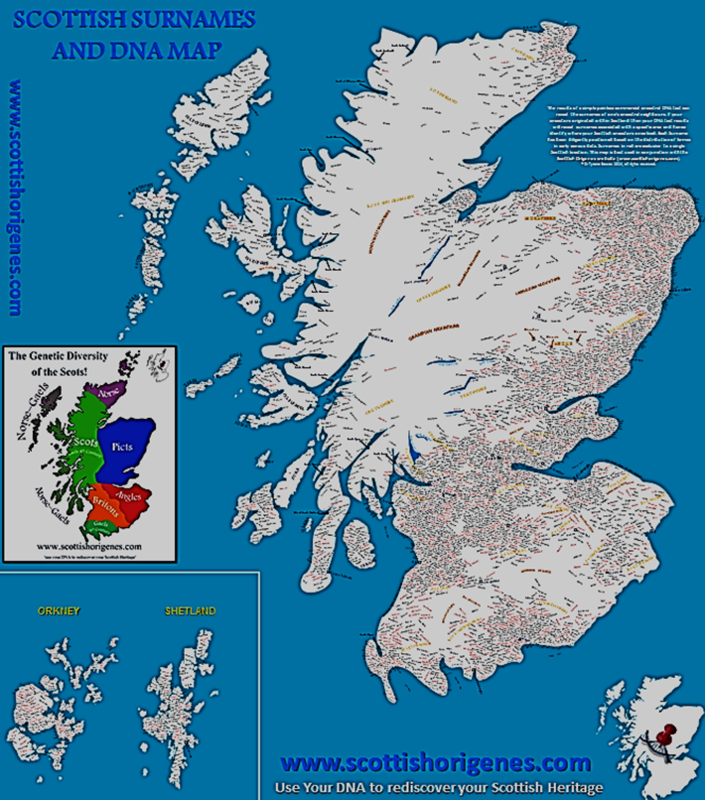 The Scottish Surnames Map details the precise origin of approximately 5,000 Scottish surnames. Each surname has been positioned in the area where farmers with each surname concentrated in early census data. Note: You can use a credit card to purchase the map. Payment is merely handled securely via paypal. Dimensions 39 x 34 in.